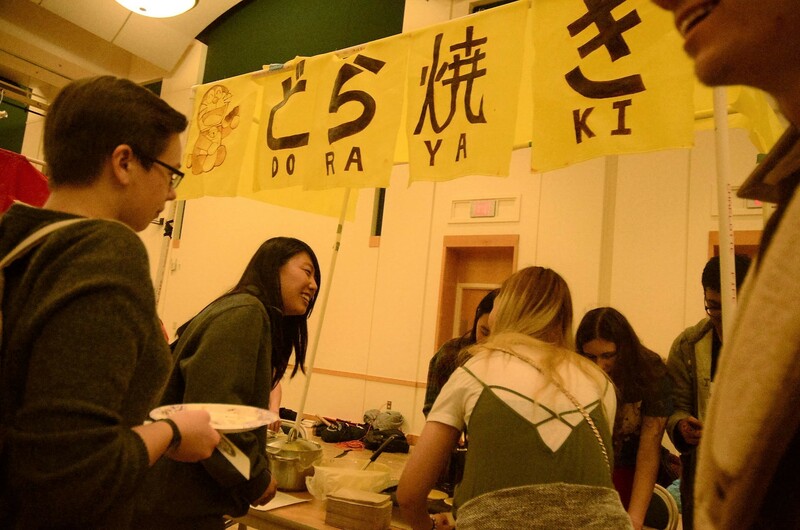 This Saturday, Carnegie Mellon’s Japanese Student Association (JSA) hosted its annual, non-profit, Matsuri Spring Festival in Rangos Ballroom. Matsuri is traditionally a festival celebrated at Shinto Shrines in Japan, but is now seen as a way for the Japanese population to enjoy street food, games, and performances. For the JSA it was a celebration of Japanese culture and heritage recreated for members of the Carnegie Mellon community to experience. From 3 p.m. to 8 p.m., students from diverse backgrounds flocked to Rangos Ballroom to support this event. Small colorful booths, decorated with beautifully crafted paper lanterns, were set up along the sides of Rangos. Each booth displayed hand made signs adorned with Japanese characters that promoted their respective activities. Volunteers for the event invited guests to taste a variety of Japanese food such as takoyaki, yakisoba, okonomiyaki, doroyaki, and dango. Also available to guests were fun games such as senbon-tsuri and wanage. Members of J@CMU were present to teach origami lessons and cooking lessons for those interested. 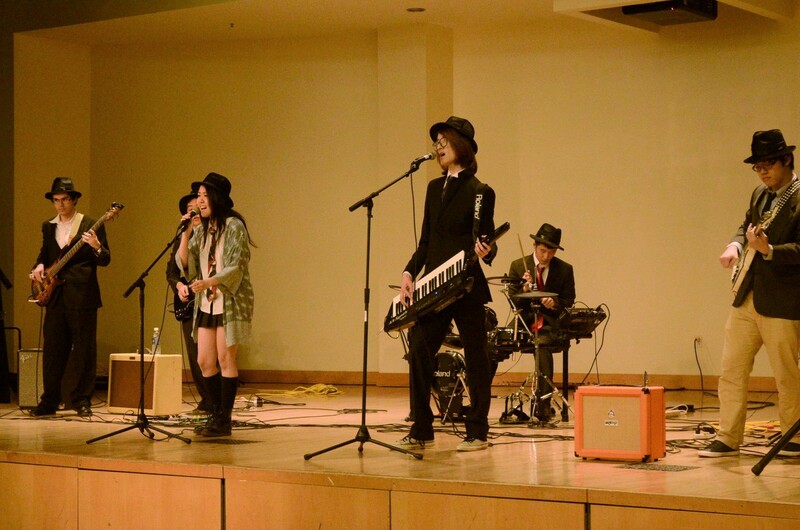 While the above listed events came with a small fee, performances by various Pittsburgh Japanese music groups were free to all. In attendance were Pitt FRESA, Rikhide, Zixuan’s Legs, 5 Musicians & Koso, SupaNEETS, and Pittsburgh Taiko. Guests at this event were seen walking around with food and drinks, rocking out to the music and having a good time. Although one of Saturday’s Matsuri Festival’s missions was to present a small snippet of Japanese culture to the Carnegie Mellon community, just as important was its mission to help those in need in Japan. All of the festival’s profits will be sent to the Minato Middle School in Ishinomaki, Japan, whose campus was destroyed in the East Japan Earthquake on March 11, 2011. Minato Middle School is currently getting by with the utilization of “make-shift shelters on the playground of a nearby elementary school,” as stated on the festival’s website. The profits made from last year’s Masturi Festival were able to help students get sports equipment and supported their music classes. The JSA is hoping to build off the momentum that was created last year and help Minato Middle School get closer to the state they were in before the disastrous effects of the earthquake. More information on Carnegie Mellon's Matsuri festival can be found on the event's website at matsuri.cmu-jsa.com.